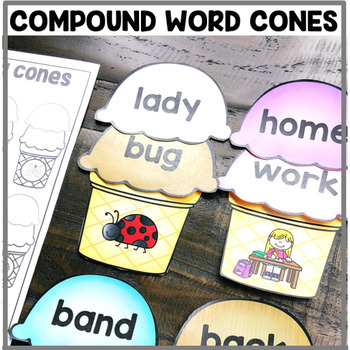 This "Compound Words Ice Cream Cones" Center is a part of the December Centers Bundle for 2nd Grade! A delicious center for your 2nd grade students! Your students will love making compound words out of the ice cream scoops. When they finish making a word, they can pair the word with the picture on the cone.